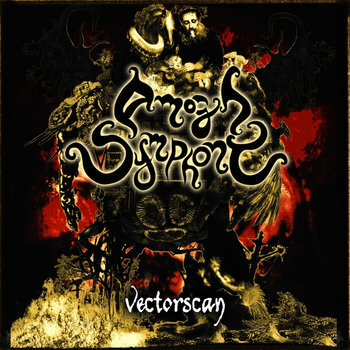 Vectorscan by Amogh Symphony Amogh Symphony‘s third album, the sequel to the critically acclaimed progressive technical metal album “Quantum Hack Code”, which was released in 2010, marks a sharp turn from the previous direction of the band, and a slight departure from the whole “metal” genre. It’s a record as challenging to listen to as it is to read its track titles, but, in the end, it’s one of the most rewarding pieces of modern music there is, and, definitely, a change for the best. Vectorscan will fuel the haters of the metal community because there is just so few “metal” elements to the album, when compared to its predecessor. With the addition of Andrey Sazonov in the band, new ideas flourish, and the now three-headed monstrosity that is Amogh Symphony only grew stronger, broader, more adventurous, but also more self-conscient. Instead of a discontinued blast of instrumental tech-death tapped riffs at ∞ tempo, Vectorscan is more restful, or, rather, less “in-your-face” and more latent, unbeknownst to the one-time listener, or to the unadvised. With very few “pure metal” aspects, the album gains many points by experimenting with many exotic instruments and music style. Now into avant-garde territory, Amogh Symphony has made a timeless record, one that you will keep listening, even after so many plays, and still find new elements to be enthralled by – while being awed by everything you’ve already assimilated – and fearing what you still have to process. The fact that metal is seldom heard in this album only makes those parts stronger, and just throws you on the floor, crying. Vectorscan is masterfully crafted and executed. The three heads of the hydra – Vishal, Jim, and Andrey – worked relentlessly together, with countless collaborators from around the world, to create a masterpiece of modern avant-garde metal. It’s a break from the chains that held captive the minds behind Amogh Symphony that made this album possible, this pouring of creative juice onto musical canvas, and that liberated the artists involved in order to achieve a state of Samadhi, or higher mind state. You can still pre-order Vectorscan on bandcamp, before its release date on September 16th, 2014. In conclusion, Vectorscan is an avant-garde metal masterpiece, one that will alienate the metalheads who were fans of the band, but that will in the end be remembered as an artistic vision with no concession. You will never get bored of listening to it, and it shall be a fountainhead of inspiration for every musician out there.